Could you just do a small triangle modesty panel? That might be easier, and it would be super cute made out of a scrap of eyelet. That’s basically what the original dickie was. I may just go that route, though. Oooo, pretty fabrics! It’s going to look super cute. LOL! 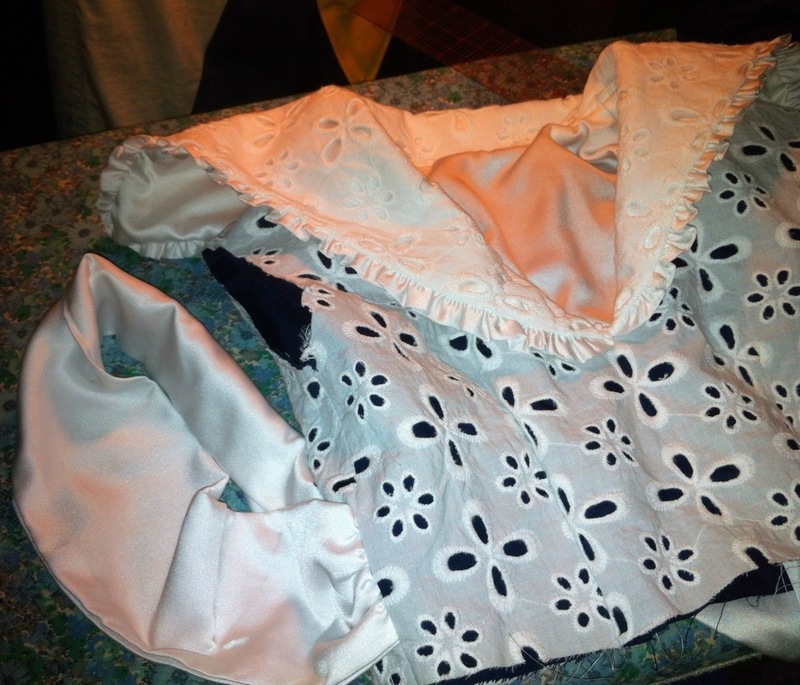 … so, I figured I could get this dress out of 1m of fabric (of each kind.) Turned out, when I checked the envelope after, it called for 1 7/8 yards. Heh. This was like the tightest fabric tetris ever. None of the scraps are more than a few inches long! I love that eyelet. It has a lovely proportion about it, not overly delicate. The navy – white eyelet combo is great …. and I’m very impressed you got the pieces all cut with so little fabric. So cute! And maybe the Sewing Gods will repay your sewing kindness with more parcels in the post or more sewing machines turning up in local shops?